Glenn Staller began his musical studies at the age of 14, and his guitar experience developed to explore many styles. Through his desire, persistence, and discipline, Glenn expanded his knowledge independently. 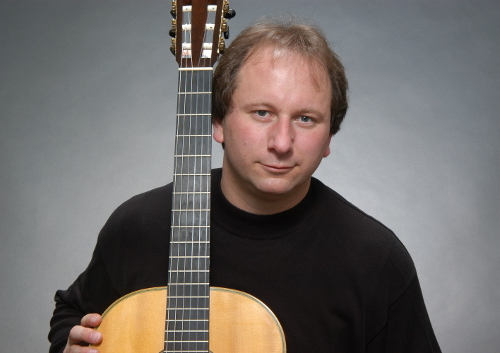 Although initially self-taught, Glenn Staller was accepted into studies with masters in the following disciplines: Classical, Flamenco, and Jazz guitar along with classical piano, harmony, and theory. Glenn credits his knowledge and command of the guitar to such outstanding mentors and instructors such as Rey de La Torre, Dusan Bogdanovic, Julian White, Bill Tapia, Chuscales, & Augustine Rios. Displaying extreme diversity in the ability to present a vast variety of musical styles, he has appeared in equally diverse performance venues including numerous wineries, vineyards, and resorts in the Napa Valley. Concert performances include live television & radio performances, Dean Lasher Regional Center for the Arts, Le Petit Treason, Valley Forge Convention Center, and the Kennedy Center. In addition to offering concerts and performing for weddings, private parties, festivals, states and local fairs Glenn offers lectures for schools and universities.